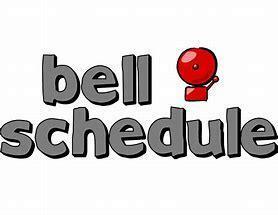 Parents and Students: Note that there will be a new bell schedule for the 2018-2019 school year. Mondays will be Periods 1-6 with an early release, Tuesdays and Thursdays are 1-3-5 with tutorial, and Wednesdays and Fridays are 2-4-6 with tutorial. The new schedule with times will be provided to families as we approach the new school year. Enjoy a safe and relaxing summer.